Familial exudative vitreoretinopathy (FEVR) is an inherited condition that most commonly has autosomal dominant inheritance. It is characterized by failure of the temporal retina to vascularize, similar to retinopathy of prematurity. FEVR results in fibrovascular proliferation causing retinal folds, temporal dragging of the macula, and tractional retinal detachments. 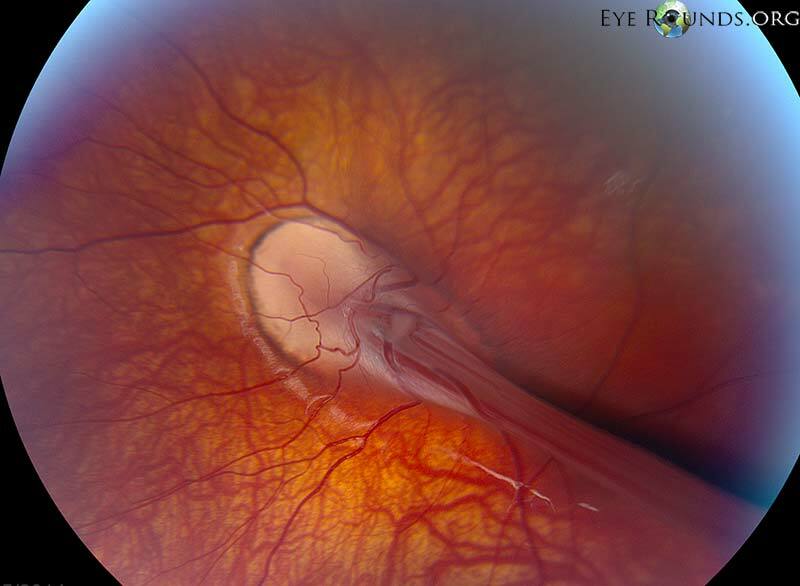 This photograph shows a fibrovascular stalk, wrapped in a fold of retina, that originates from the optic disc and stretches across the macula in a patient with FEVR.